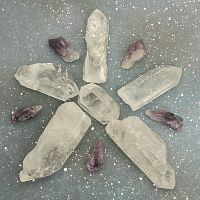 - A set of three natural quartz points. Stones vary in shape and size. 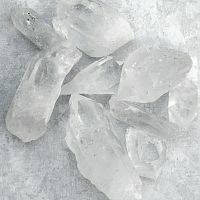 Clear quartz has the effect of intensifying the energy directed through it. 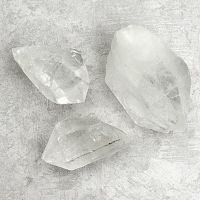 It is sometimes used as a scrying stone. Do you have any other questions about our Large Quartz Points?